Earlier this year we spent a few days exploring the Eastern Townships of southern Québec. 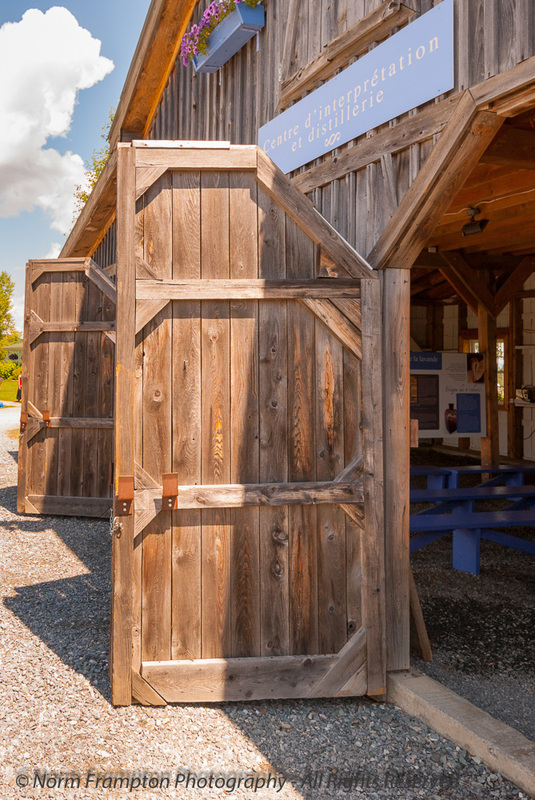 We visited a number of interesting places that turned into #ThursdayDoors posts such as the Abbey at Saint-Benoit-du-Lac and The Haskell Free Library on the border with Vermont. One of the other places we visited was a lavender farm called Bleu Lavande near the village of Fitch Bay. Though this is a commercial enterprise it is also one of the most visited tourist attractions in the region. 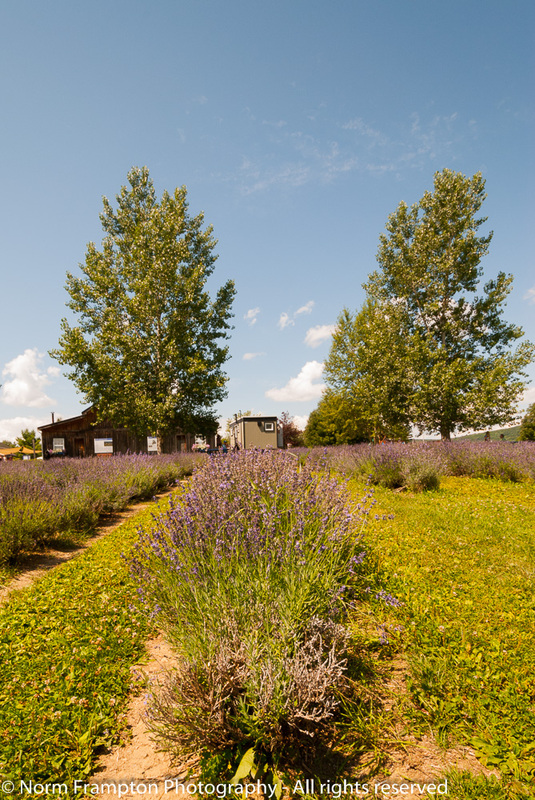 With over 100,000 lavender plants, Bleu Lavande is the largest lavender farm in Canada. The pressing of the flowers and the distilling of the lavender oil is done onsite. The visitors center offers guided tours several times a day in French and in English to explain the whole process. They produce a wide range lavender scented or infused products such as soaps, bath oils, perfumes, body sprays, candles, teas, and a whole bunch of other products too numerous to mention. The history of lavender farming can be traced back all the way to ancient Greece. Later during Roman times lavender had become such a highly prized luxury that a pound of flowers would set the average labourer back the equivalent of a month’s wages. It was late July so we had missed peak flowering season by a few weeks, but the fields still smelled wonderful even if they weren’t their prettiest. 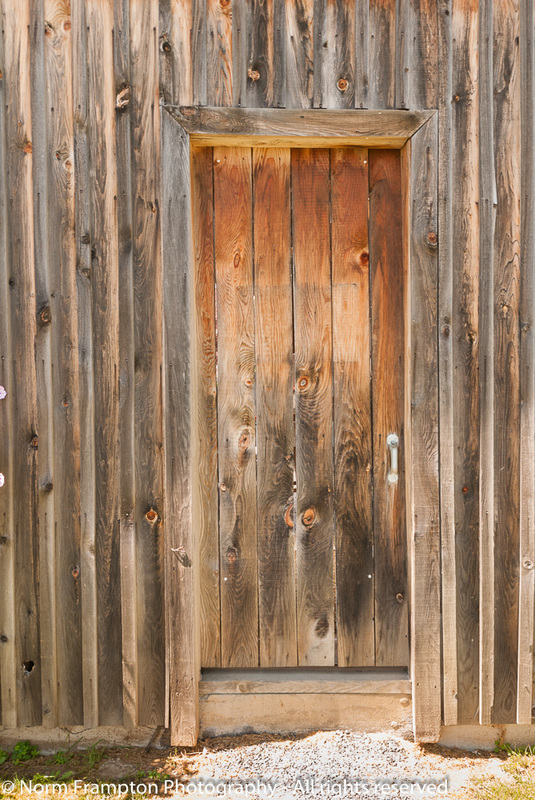 With some very nice weathered old wooden buildings there was no shortage of share-worthy doors to discover. 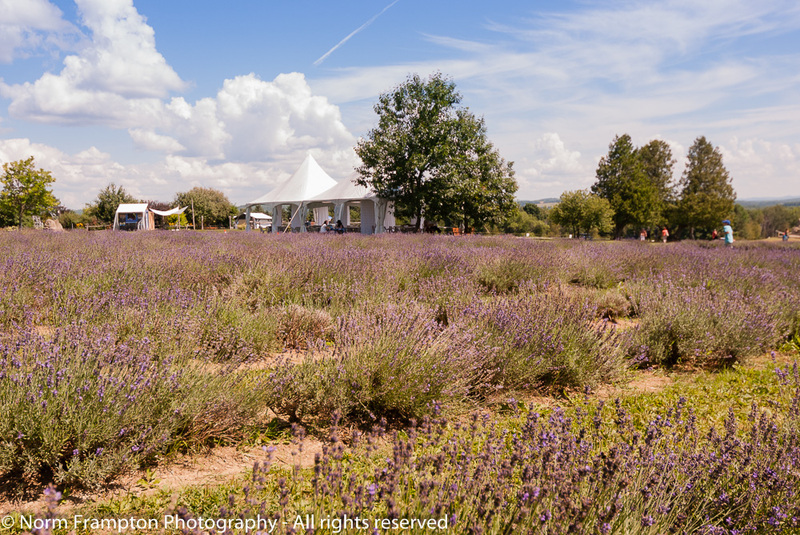 We explored the place for the better part of a very hot afternoon and though it was tempting to take advantage of a massage at the outdoor spa overlooking the fields, we opted for a cold, refreshing lavender lemonade in the shade instead. Special Note: This week Cee Neuner over at Cee’s Fun Foto Challenges is featuring Doors and Entrances. You may want to take advantage of the opportunity to meet some new readers by double-dipping and linking up to her post as well. Of course it’s also a great way to discover new folks to follow so don’t forget to click on a few links while you’re there to check out what others are posting. 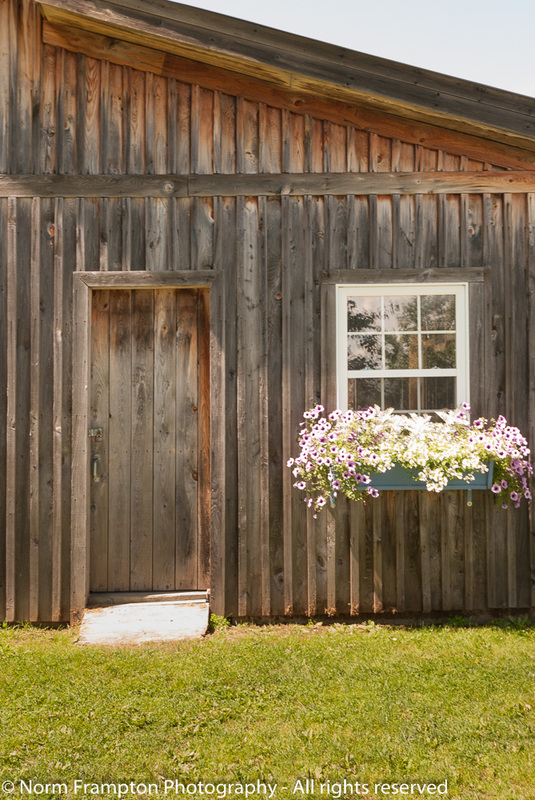 Gallery | This entry was posted in Photography, Thursday Doors and tagged Doors, Eastern Townships, Fitch Bay, Lavender, Magog, Québec, Thursday Doors, Tourism, Travel. Bookmark the permalink. Ooh, Norm! As usual, finally on the weekend (rather late in Friday) I am wishing I could have visited this particular lavender farm. My favorite door is the one that is open and framed with such lovely woodworking. My favorite photo though, is that if the beautiful weathered window box with flowers hanging over the edge. 🙂 So pretty! Gorgeous place. I can almost smell the lavender! Love the rustic building/doors. I love those weathered wooden doors! I’ll bet your lavender lemonade was delicious. I’ve had cookies with lavender in them; I never realized lavender tasted so lovely! Beautiful, lavender and heather are two of my favorite fragrances.I have never tasted lavender lemonade. This place I would like to visit. Love it when farms are this well taken care of! I’ll try again from another device later. I don’t know why that happens. I will try to find out. Fabulous Photos , awesome doors! I love the wooden doors. I bet it would be overwhelming during peak season. I love lavender. Thanks. Overwhelming? Perhaps. It is possible to have too much of a good thing and that is especially true with certain smells. What a great post Norm. 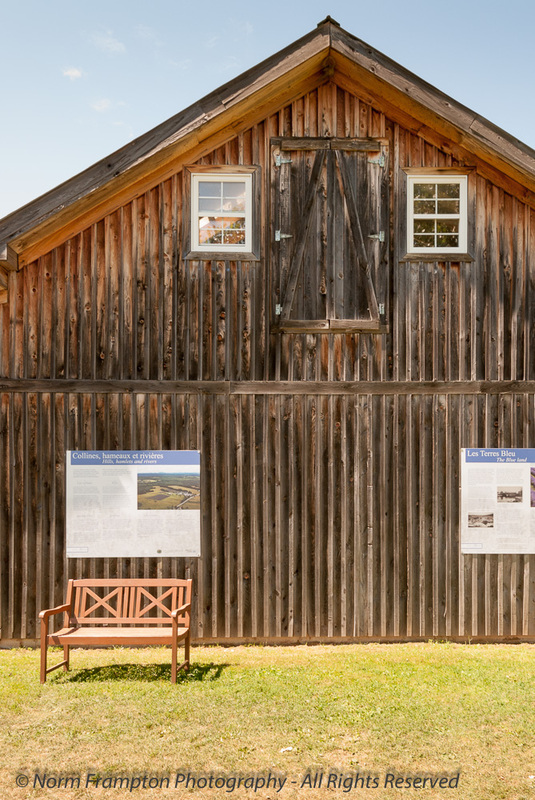 I really like the photo of the barn where the two doors are shown. Great perspective. Thanks for the mention. I love the weathered timber of that building with the flower-filled window boxes. With over 100,000 lavender plants I bet that’s the most relaxing place on earth, 😉 I’d love to be there when all those plants are in full bloom. Yes, full bloom must be something to behold both for sight and scent. 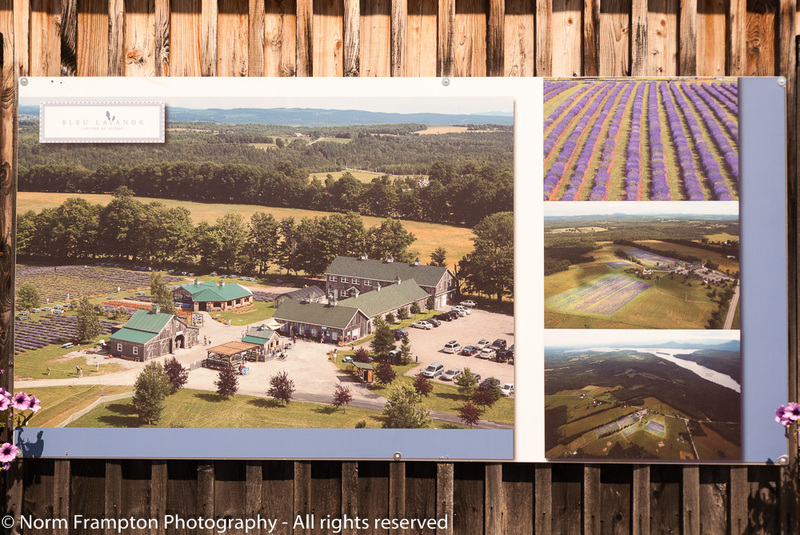 There’s another lavender farm closer to home that we may check out next summer during peak season. I like those wooden doors. What a beautiful place! I bet there were still plenty of bees around and the weathered wood and doors look good to me. Isn’t that ever so dreamy? Ah, you lucky, lucky man. Lavender is the best. I live in lavender. Soaps, bubble bath, oils, lotions, linen spray, candles — everything lavender. I would be in heaven in a lavender field no doubt. Tried to start it from seed this year. Apparently kittens like lavender, too, so I will need to invest in established plants for the outdoors. Thanks Joey. Honey is a much bigger lavender fan than I but I do enjoy the smell. Utilitarian but attractive doors, Norm. Your posts brings to mind and nose a side trip I went on with my s-i-l some years ago when they lived in Provence. We, too, had just missed the season but the scent, which I love, had infused the air. It must be almost overwhelming when the plants are in full bloom. Off to link and get ready for work. Have a great day. Thanks Janet. There’s another big lavender farm closer to home that we may try to visit during peak season next year. I’m curious to see just how strong the smell it when they’re in full bloom. Beautiful images Norm. We visited a lavender farm when we were in France a few years ago. Like Joanne, I wish I liked the scent it produces but sadly, it gives me a headache. Lavender is one of those things I wish I liked. It’s pretty, and such a lovely colour, but the smell – meh. It just manages to make my nose twitchy. There is a lavender farm not too far from Toronto that I’ve had on my list of things to do for a while. Like the one you visited, it’s become a big tourist attraction and of course all the lavender infused products are big sellers. Unfortunately I missed the prime time for visiting this summer – so maybe next year. Honey is a much bigger lavender fan than I am, so this visit was more her idea. I’m certainly glad I went though. Lavender fields…Mmmmm…I can almost smell them through the computer. Those are wonderful door photos, Norm. I like the weathered wood, which I think is appropriate somehow with the lavender cultivation. The massage tables among the lavender fields is pretty cool. Oh, I mean hot. Whatever, I would suspect that between the moderate heat of sun and smell of lavender makes for a very relaxing time. Too bad you had to be there on such a hot day. Yes indeed 🙂 Thank you. I really like the board & batten barn, Norm, with its weathered look and those simple upper doors set between the two small windows. It’s such a nice look. It seems like a wonderful place to explore. I can only imagine the scent. I would normally have liked to see the newer doors from the outside, but I really like examining the construction details, so open worked well (and I’m guessing the outside looks like the lower, narrow doors). Great set today! Thanks Dan. 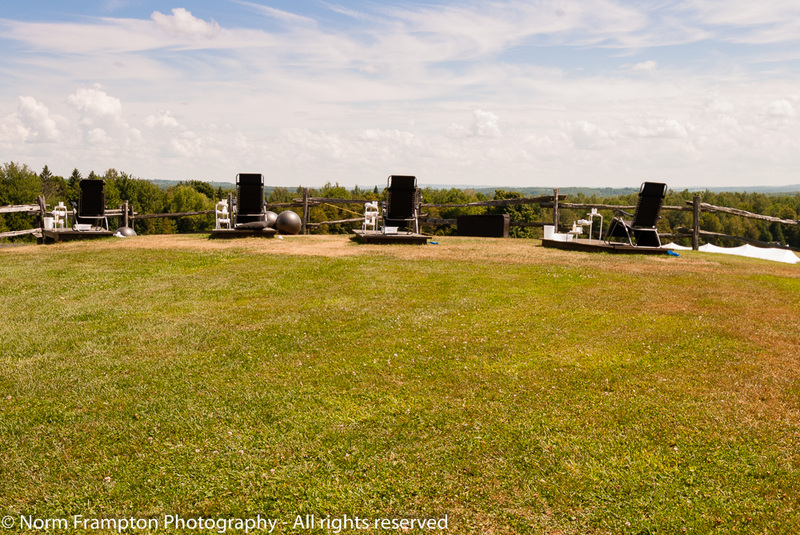 I think those open ones were deliberate, to prevent visitors from baking inside – it was really that hot.